Globalize your workforce on the cheap, without any headache. Change direction without serious people or financial issues at stake. Gone are the days when it was normal to have lots of server racks, switches, routers and computers. IVR Sys Cloud Solution provides a superior alternative to on-premise solutions with a complete peace of mind. Adopt the pay-as-you-go “software-as-a-service” business model and do away with upfront capital expenditure in hardware and infrastucture. The cloud delivers a far more flexible solution allowing businesses to scale up or down quickly inline with business requirements. 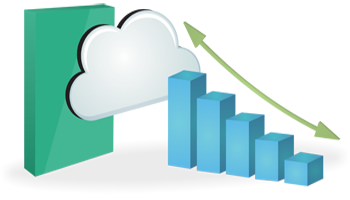 IVR Sys Cloud solution can be implemented in a relatively shorter period of time. Take advantage of our existing infrastructure which gurantees uninterupted service 24/7 and in house expertise. Implementing an on premise solution involves buying your own equipment with additional provision for maintanance and replacement when it reaches its end of life. With cloud solutions, you can be sure that you are using the most upto date equipment which is maintained to a high standard at no additional cost to yourself. Most orgaizations spend a lot of time and money thinking and provisioning for unforeseen events. With IVR Sys cloud solution your system is disaster recovery ready and is capable of automatically routing calls in a very short period of time ensuring minimal disruption to your business. Moving to cloud makes it possible for your business to make incremental adoption by focusing on big wins.